Central Asia: South Asia Energy Project a Pipe Dream? In early June, a newspaper in Pakistan announced the Asian Development Bank would withdraw from a much-anticipated energy transmission project that aims to connect Central and South Asia. The report stated that security fears in Afghanistan were prompting the ADB to drop its 40 percent interest in the project. The newspaper, the Express Tribune, cited a senior official from Pakistan’s Ministry of Water and Power as the source of its scoop. If true, the move would be a significant blow to American-backed efforts to link Central Asia’s economies with Afghanistan and South Asia, a project known as the New Silk Road. Western officials, meanwhile, are reluctant to comment about the project’s future. Regardless of the ADB’s position, energy experts have doubts about the $950-million-plus project’s feasibility, given regional rivalries and Central Asia’s vast energy deficit. Dubbed the Central Asia South Asia Regional Electricity Trade Project (CASA-1000), the initiative is designed to transmit 1,300MW of electricity from Tajikistan and Kyrgyzstan through Afghanistan (which would consume 300MW) to Pakistan. In 2007, the four countries signed a memorandum of cooperation on the project, which, since then, has always seemed to sit a few years off on the horizon. The idea behind the project is that it would give Kyrgyzstan and Tajikistan a way to sell their annual summer energy surpluses. Both rely almost exclusively on hydropower. Because neither country has the capacity to hold enough water to produce sufficient energy in the winter, they have surpluses in the summer when they are forced to release more water than they would like. Before independence, the two would share electricity with their Central Asian neighbors in the summer months, and import electricity from hydrocarbon-rich Kazakhstan and Uzbekistan each winter. That system has broken down since the collapse of the Soviet Union. Both Kyrgyzstan and Tajikistan are attempting to build new, massive hydropower plants. But until they do, it is unclear just how much energy they can afford to export each summer, especially as local demand increases. Officials in Central Asia remain enthused about the project. Tajikistan’s First Deputy Minister of Energy and Industry Pulod Muhiddinov told EurasiaNet.org that he is confident that CASA-1000 has enough investors. He added that the ADB will make a firm decision after another feasibility study, which is currently underway. He would not disclose when the study is due, but the World Bank and the Islamic Development Bank are said to be ready to finance the project, which could begin next year and open as soon as 2017. Industry insiders speaking privately tend to roll their eyes when they discuss CASA-1000. One Western energy expert in Dushanbe said the project is unlikely to ever get off the ground because the participating countries “are never going to agree among themselves” on how much they will supply and what each kilowatt should cost. Others have suggested Tajikistan, being closer to South Asia, will try to squeeze out Kyrgyzstan, which is farther to the north. There are certainly reasons to believe cooperation will be difficult. Kyrgyzstan and Tajikistan, for example, are unable to agree on the location of roughly half their mutual border. Still others are concerned the project will provide an easy way for the region’s notoriously corrupt leaders to siphon off electricity for sale abroad while their people sit in the dark. Already, most energy experts in Dushanbe note, approximately 40 percent of Tajikistan’s electricity is consumed by one aluminum smelter, TALCO, in the western town of Tursunzoda. The plant receives deeply subsidized power and the proceeds from the plant’s operations are reportedly stashed offshore in the British Virgin Islands. 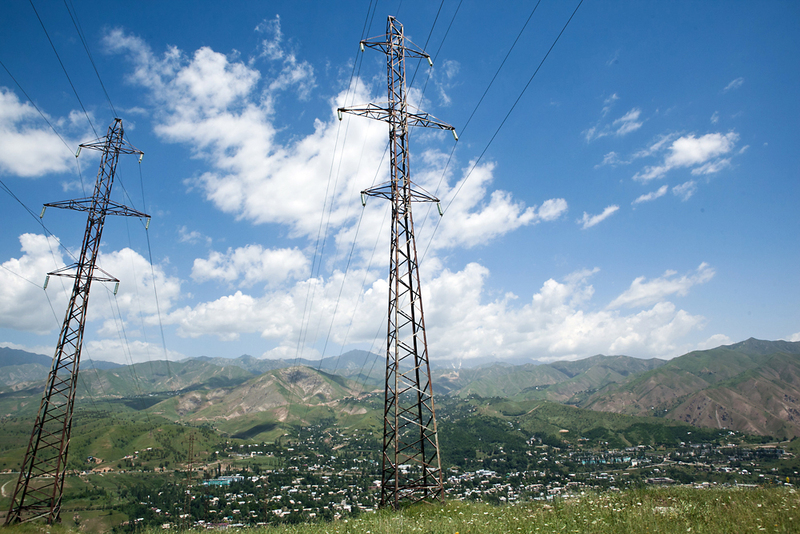 Without TALCO, Tajikistan’s winter energy shortages (up to 20 hours per day in some areas), would be greatly eased. To address existing shortages both countries are attempting to build multi-billion-dollar hydropower plants. Kyrgyzstan has secured tentative Russian interest in the $1.7-billion, 2000-MW Kambarata-1 project, while Tajikistan is casting about for investors for the 3600-MW Rogun venture, which would be the tallest dam in the world and cost up to $6 billion. The projects are strongly opposed by downstream countries, especially Uzbekistan. Uzbekistan also may fear the upstream projects could challenge its own energy exports. Russia’s RUSAL aluminum company had supported Rogun until 2007, when the deal broke down because RUSAL insisted on scaling back the dam’s specifications. More recently, Moscow has expressed a desire to participate in CASA-1000, with President Vladimir Putin repeatedly offering up to $500 million. But the control Russia would likely demand in exchange for its financial support could make it difficult to collaborate with Western-backed international financial institutions that are eager to move Central Asia out of Russia’s orbit.